So you’ve just finished matric. You want to study further but money is a little bit tight. Now what? Give up? No, you don’t need to give up on your dream of studying further. There is hope and it comes in the form of the Institute of Certified Bookkeepers (ICB) and distance learning. Before we can talk about the ICB Distance Learning courses you first need to understand both the ICB and distance learning. The ICB is a professional training organisation that has existed since 1931. That means that they have 88 years of experience in the field. The ICB offers many different business-related courses, 16 to be exact, that you can study. Each of these courses has been put into one of five different study programmes. These courses all provide you with a high-quality education. Distance learning is a study method that is becoming more and more popular. You will register with a training provider who will send you all your materials. Then you work and study in your own time. There are no classes to go to and you can study from anywhere in the world. A lot of distance learning gets done online but you will also receive actual textbooks and work that you need to do. Things like assignments can usually be submitted online. Another reason why distance learning is becoming so popular is that is usually cheaper than going to a university and you can have a job and study at the same time. Why Should I Study an ICB Distance Learning Course? Apart from the benefits already mentioned with studying using distance learning, the ICB distance learning courses have many advantages too. As mentioned before there are 16 different courses you can study. The courses and study programmes are as follows. As you can see, one of the big advantages of these courses is that each one gives you a qualification. You don’t need to finish an entire study programme before you get a qualification. These qualifications are also internationally recognised meaning you could even look for work overseas. The ICB exams are the only time that you physically have to go somewhere for your studies. The ICB has many exam venues around the country. You can have a look on the ICB website to locate your closest venue. Once you have written your exams it will take a few weeks for your results to be released. As a distance learner, there are three ways you can get your results. The first way is to contact your training provider on the day that the results are released. Alternatively, you can wait a few days and you will receive an email from the ICB with your results. The other way that a distance learning student can access their results is by using the ICB Learner Portal. This portal is a fantastic tool for distance learning students as it lets them manage their studies themselves. There are so many advantages to studying ICB distance learning courses. 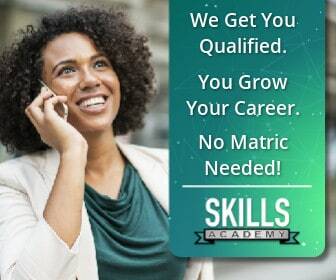 It’s cheaper, you get internationally recognised qualifications, and you can work and study at the same time. Don’t give up hope. Contact a training provider and start your future today!